Service is a part of who I have become. 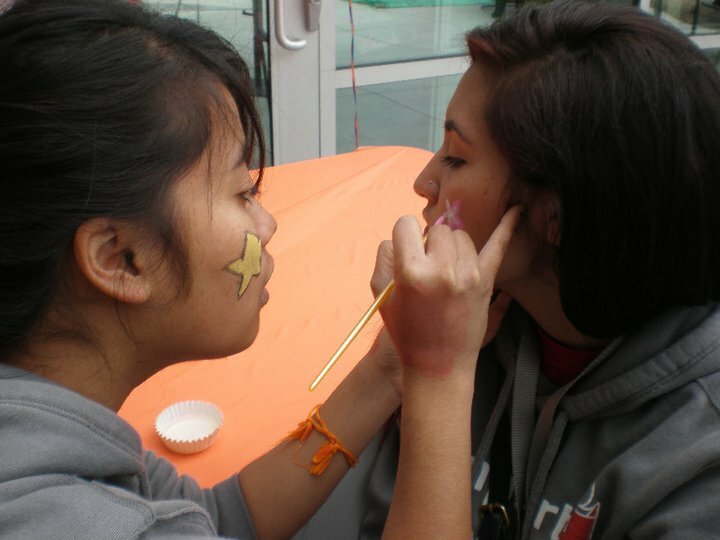 Prior to going to college, I partook in community service projects in which a few of my high school clubs participated. I would help build a house, wrap presents for the holidays, tutor kids in math, or cleanup a wash to make a walking trail. I knew it was the “right” thing to do. However, it was not until I had the opportunity to be a part of the Social Action and Justice (SAAJ) Colloquium at Pepperdine University that I began to scratch the surface of what service truly is. Within SAAJ, I got a taste of what social justice entails. It opened my eyes to the different populations that need services and the vast variety of programs that could be offered. In addition to SAAJ, I spent all four of my college years taking part in an AmeriCorps program called Jumpstart, which works with early childhood education. With Jumpstart, I had the opportunity to learn about the need for quality education from a young age and how a simple program like Jumpstart could help bridge the education gap. 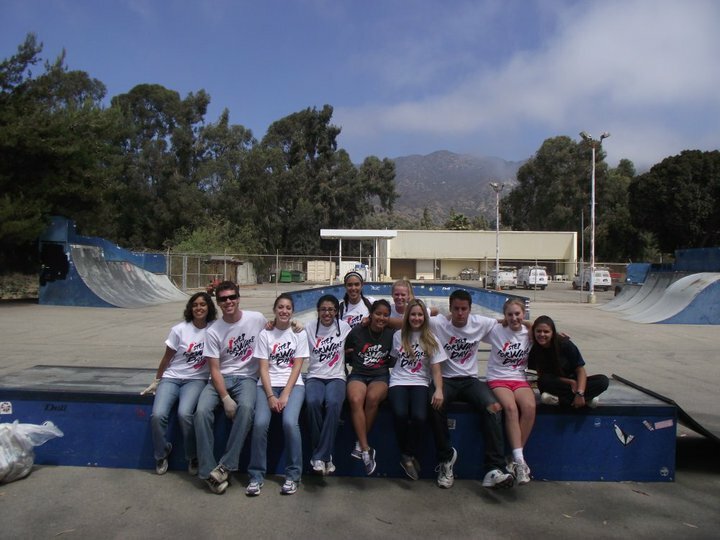 Through Jumpstart, I gained a position in the Pepperdine Volunteer Center (PVC) staff as a Team Leader for Jumpstart. As a staff member, I was able to dig deeper in social justice and how it relates to the service that I was doing. 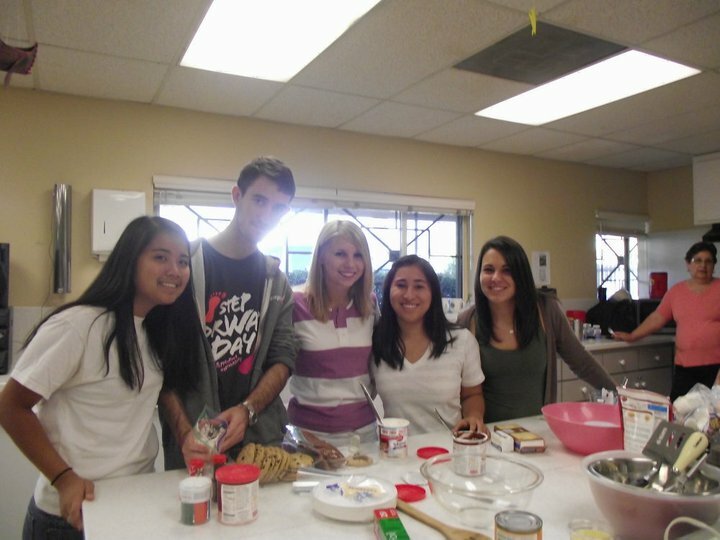 I led groups on service projects and exposed them to nonprofits in the Greater Los Angeles area. I lead groups of college students in preschool classrooms to try to bridge the education gap. 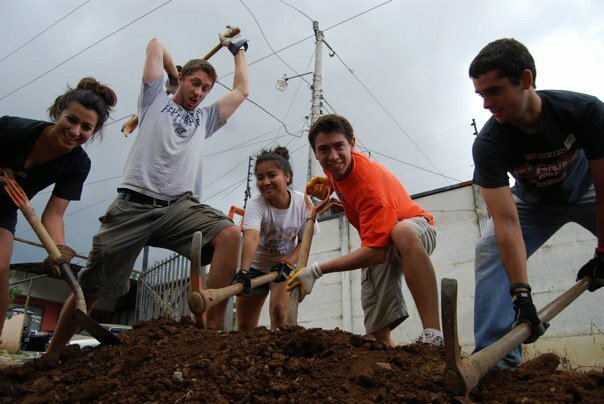 I traveled to Costa Rica to help build a multipurpose center, rebuild habitats for animals, and work with children in an orphanage. I spent time on Skid Row to experience one night as a homeless person. I could not imagine what kind of person I would be if I did not involve myself in all these service projects. Service is every experience you are giving to another person. As a VISTA, living on a stipend gives me an insight of those who have to endure the struggles of everyday life, paycheck to paycheck. It provides the motivation to make any project I am a part of better than it was before. Service comes in all forms; it is all about seeing every experience in a different light. Four New AmeriCorps VISTA Opportunities in Southern Nevada! Four exciting AmeriCorps VISTA opportunities have just opened in sunny Southern Nevada! Learn about how you can give back to the community through a year of service by reading the summaries below or clicking on the link. Have questions or want more information? Contact Jacob Murdock at 702-892-2321 or jacobm@uwsn.org. coordinate the Early Childhood Education Workgroup. In this role, the Member will develop infrastructure and key relationships that will benefit the CAA in years to come. The Member will work towards the CAA mission by creating a structure to highlight Early Childhood Education issues and provide outreach on behalf of providers that enhance the wellbeing of children & families in need. Clark County Nevada has one of the lowest percentages of childhood immunizations ages birth to 3 years old. Clark County Nevada also scores very low in overall health for children. The work of the VISTA member will address this be a targeted approach by engaging community members, school based health clinics and health organizations. Additionally, the VISTA Member will develop a data collection mechanism for our partner agencies and will compare those numbers to the State reported numbers in order to assess the effects of the outreach. The Member will also report these numbers and use the information to research funding opportunities that will result in better access to health care for Southern Nevadans. The VISTA Member will work with United Way of Southern Nevada staff, partner agencies and schools to make health care more readily available to those who are in need. The lack of financial stability among individuals is a significant factor that leads individuals and families to poverty. There is a need in the community to provide a holistic set of resources that can help empower community members with the skills and knowledge to become financially stable. HopeLink is developing a system of Integrated Service Delivery (ISD) in the creation of their Financial Stability Center. The VISTA member would work with staff from HopeLink to assist in the development and implementation of the Financial Stability Center. The VISTA member would research similar resources and best practices, develop partnerships with local agencies to integrate services where gaps currently exist and develop evaluation mechanisms based upon the established goals. Additionally, the VISTA member would be involved in other aspects of HopeLink’s current financial stability programming. The VISTA member would help HopeLink of Southern Nevada empower community members and break the poverty cycle by promoting financial education. The capacity building that the VISTA member will provide will help meet this need in southern Nevada. AmeriCorps VISTAs in Southern Nevada will receive a modest living allowance of $1078 each month (before taxes). After the successful completion of a term, VISTAs may be eligible to receive a $5,550 education award. If you have questions about these opportunities, contact Jacob Murdock at 702-892-2321 or jacobm@uwsn.org. The post was originally published on the White House Blog on March 11, 2013. Jonathan Greenblatt is Special Assistant to the President and Director of the Office of Social Innovation and Civic Participation at the Domestic Policy Council. Each generation of Americans embraces the belief that no problem is too big for a determined group of people to conquer. This challenge is central to national service, which gives thousands of Americans a chance to unite with like-minded people and work toward improving the lives of our most-vulnerable citizens. Each year, we take time to honor this American tradition of service as we mark AmeriCorps Week. During this week, March 9– 17, we saluteAmeriCorps members and alums for their service, thank AmeriCorps community partners, and communicate AmeriCorps’ impact on communities and on the lives of those who serve. Since 1994, more than 800,000 AmeriCorps members have contributed more than 1 billion hours in service to others across America. Currently, more than 75,000 AmeriCorps members are touching the lives of millions as they tackle challenges that improve lives, strengthen communities, expand economic opportunity, and bolster civic and faith-based organizations. AmeriCorps may be one of America’s best assets, with members making an impact through organizations such as the American Red Cross, Habitat for Humanity, Public Allies, and Teach for America. In addition, AmeriCorps National Civilian Community Corps (NCCC) and VISTA, the longtime anti-poverty program, are transforming communities every day. Service is a proven solution for our nation whether national service members are providing disaster relief and recovery services in the AmeriCorps NCCC and its FEMA Corps unit; enhancing educational outcomes through teaching, tutoring, or mentoring efforts; or supporting veterans and military families with re-entry and employment services. In the past year, I met with and witnessed the work of the more than 2,400 AmeriCorps members who participated in relief and recovery efforts for Hurricane Sandy. Disasters require an immediate response to needs in the immediate aftermath of the storm as well as longer-term recovery efforts that benefit storm survivors. More than 17,000 veterans have served in AmeriCorps since its inception, helping other veterans and military families get benefits and services; obtain job training and conduct job searches; provide safe and affordable housing; and mentor and tutor children of service members. The Department of Education and the Corporation for National and Community Service recently announced the formation of the School Turnaround AmeriCorps, a new program that will support a dedicated unit of national service members who will provide additional support and resources in the nation’s persistently underachieving schools. Service initiatives like AmeriCorps do more than move communities forward; they serve their members by creating jobs and providing pathways to opportunity for young people entering the workforce. AmeriCorps places thousands of young adults into intensive service positions where they learn valuable work skills, earn money for education, and develop an appreciation for citizenship. To find out about national service opportunities in Southern Nevada, contact Jacob Murdock at jacobm@uwsn.org or 702-892-2321. For a national search of AmeriCorps opportunities, check out the National Service website. You are currently browsing the United Way of Southern Nevada Volunteer Center blog archives for March, 2013.